With spring nearly here I thought I'd start a new series of regular posts on my blog called Green London. It will give me a great excuse to visit the parks, gardens, nature reserves and other lovely green spaces in the capital and blog about them. 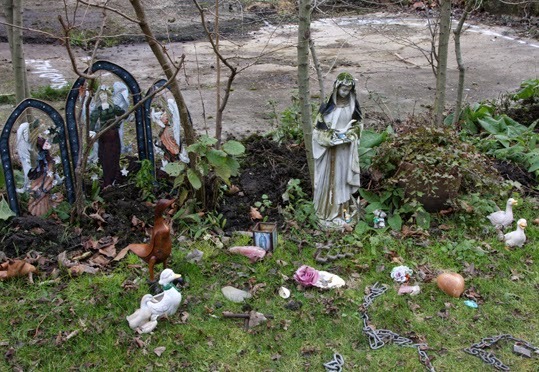 To start with, here is a look at Crossbones Garden - a memorial garden being created on the site of Cross Bones graveyard in Redcross Way, Southwark. I was lucky enough to have a little unofficial stroll around Crossbones garden last week and took the photos on this page. Here's a bit about its history. 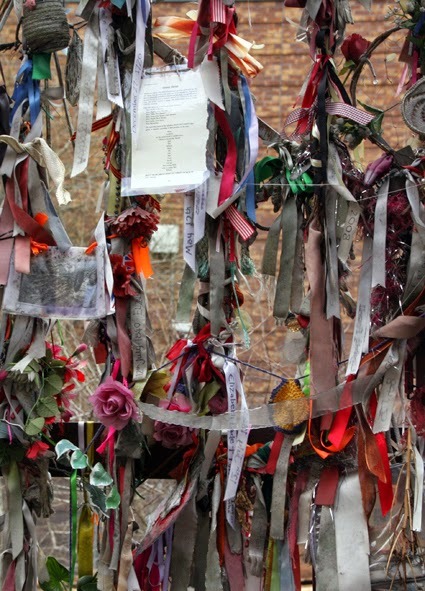 Cross Bones is an unconsecrated burial ground at Bankside, south of the Thames, which dates back to the 1500s. Up until the Victorian era it was used as a graveyard for prostitutes and paupers. It was closed in 1853 because of overcrowding and was lost until the Jubilee Line underground rail extension in the 1990s, when bones were unearthed. 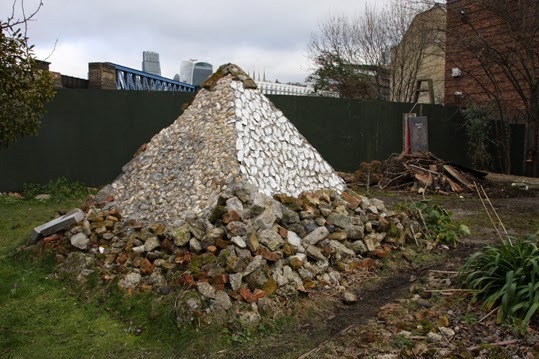 Since then campaigners including John Constable, author of The Southwark Mysteries, have petitioned for a memorial garden to be put on the site. Since the 1990s, vigils have been held on the 23rd of each month outside the gates to honour those who are buried there. 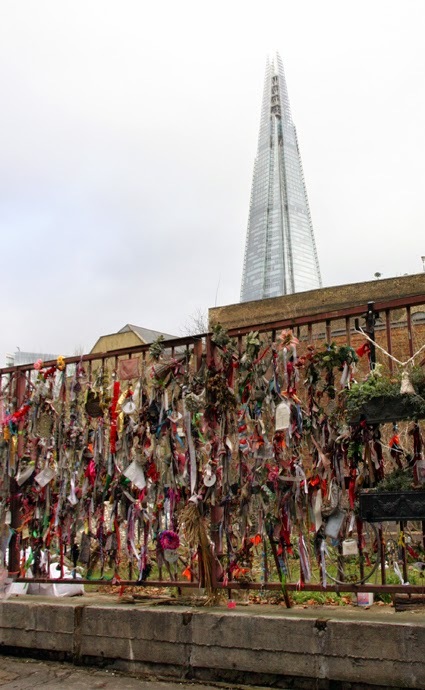 At these events people have been invited to tie ribbons to the bars of the gates to create a shrine for the dead, It was always hoped that one day these services, which are open to those of all faiths and none, could be held inside the gates in a memorial garden. That dream is finally becoming a reality. Last summer the gates were moved to allow a better view of the site and the Bankside Open Spaces Trust has started work on the project for a peaceful green space on the site of the graveyard, with the help of volunteers. Inside, trees and shrubs have been planted, flowerbeds are being created there are places where you can stop and meditate or say a prayer if you want. Over the coming months I hope to return and see the garden truly blooming.